IFFRAAJ (GB) (Brown 2001-Stud 2007). 7 wins-1 at 2, Goodwood Lennox S., Gr.2. Leading NZ Sire of 2YOs in 2015-16. Sire of 1166 rnrs, 714 wnrs, 65 SW, inc. Ribchester (Deauville Prix Jacques Le Marois, Gr.1), Gingernuts, Jon Snow, Turn Me Loose, Rizeena, Chriselliam, Wootton Bassett, Jungle Cat, Benvenue, Fix, Serena Miss, The Black Princess, Hot Streak, Ikerrin Road, Wyndspelle, Magic Artist, Muffri'ha, Forjatt, Melt, Kisses, Chilean, etc. Manhattan Flame (g. by Manhattan Rain). 3 wins at 1200m, 1400m, Taranaki RC Sandford Carriers S., Counties RC Campbell Tyson H., 2d Counties RC Lone Star Pukekohe H.
PACKING COMMANDER - PACKING OK (H.K.) (Redoute's Choice). 6 wins from 1400m to 2200m, A$11,475, HK$8,065,750 in Aust. and HK, HKJC Centenary Vase, L, National Day Cup, L, Hong Kong Exchanges Challenge Cup, Elegant Fashion H., Lark H., 2d HKJC January Cup, L, Happy Valley Vase, Panasonic Viera IDTV H., 3d Longines Hong Kong Mile, Gr.1, HKJC News Bar Talk H., Dyer H., Mission Hills Properties H.
Flame of Lanka. Winner. See above. Half the Sky. Placed in 2017-18 in Aust. ABBADENA (Runyon). 9 wins. See above. Rum Corps. 9 wins from 1200m to 2100m, A$182,974, VRC KA Morrison H., MRC Sky High Mt Dandenong H., TRC Ingham Jockey Club Cup, Brighton Cup, Business East P., TTC Aceland H., Origin Energy H., 4th TRC Hobart Cup, Gr.3. Island Prince. Winner at 1400m in Aust. Festival Lady. Winner at 1800m in Aust. Chainlocker. 4 wins at 1400m, 1600m, TRC Ballast Stone Estate H., Cables Plus H., Kathleen Worbey P., 2d TRC Ernest & Janette Targett H., 3d TRC St Virgil's H., TTC Shaw Contracting H., Tote Tasmania H., TRC Tasracing P.
Dancing Pegasus. Winner at 1100m, 2d TRC Schweppes H., HT Hey H., Mother's Day H.
Venetian Delight. Winner at 2000m in Aust. Fish. Winner at 1400m, 2d TTC Sport 927 H., 3d TRC SMA Finance H.
Bon Rhythm. 5 wins from 1600m to 2100m, MVRC Qantas Club H., 2d VRC Andrew Bews Welter H., MVRC Guerlain H., 3d MVRC Gulfstream Park H., J Green H.
Lady Venna. 5 wins. See above. Free and Able. 2 wins at 2200m, 2400m, 2d MRC William Pearson H.
Daithi. 3 wins at 1400m, 1500m in Aust. Bend Free. Winner at 1600m in Aust. High Capacity. 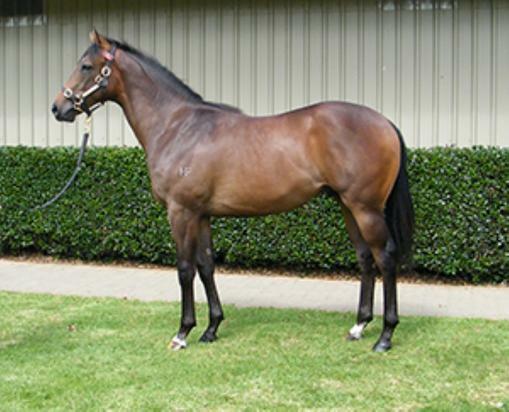 Winner at 1200m in Aust. Shilly Shally. Placed in Aust. Free Rhythm. 2 wins. See above. Dickbequick. 2 wins at 800m, 1000m in Aust.